1 What is Ten Ball? Ten Ball is a game that is very similar to nine-ball. The only difference is that, there are 10 balls instead of nine. And in this game, the ten-ball being the money ball. Ten-ball is said to be preferred over nine-ball by some professionals. Mainly because it is far harder to pocket any balls during break due to the crowded rack. In the photo is Swedish veteran Marcus Chamat playing Ten Ball against the world number 1, Chang Yu Lung. Photo Courtesy of World Pool-Billiard Association. Taken at the 2015 World 10-Ball Championship. Although the game has existed for a long time, it has become more popular in the recent years. This is due to the concerns that nine-ball has suffered as a result of the flaws in its fundamental structure. Some rules of the game 9-ball to be precise. Like the ease of which players could pocket the winning ball during the break. To pocket all balls and finally pocket the 10-ball. 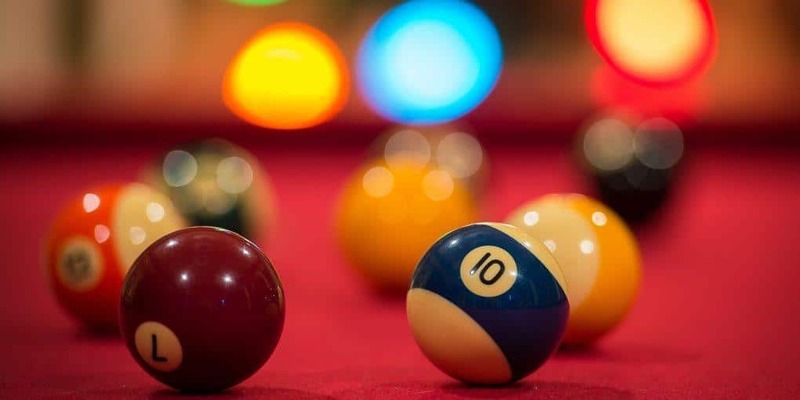 Balls used are the billiard balls 1 to 10, with ten being the “money ball”. Of course, the cue ball is also used. 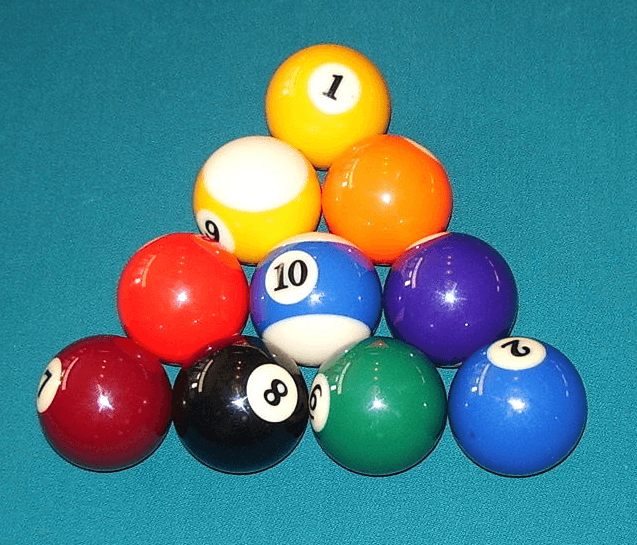 The 10 balls are racked as a triangle as in the game of 8-ball. Although there are 10 object balls instead of fifteen. The 1-ball is positioned at the apex of the rack, the 10 ball positioned in the middle of the rack. The other balls are left random, with the apex ball on the foot spot. The picture shows the proper way of racking for a game of Ten Ball. The 1-ball must be at the apex of the rack. While the "money-ball", which is the 10-ball, is placed at the middle. All other balls are randomly placed around the triangle. A pre-determined player breaks the balls from the kitchen. If a ball is pocketed, the same player will continue to play until such time that no ball is pocketed. The player who pockets the 10-ball wins. This is granting that all the other balls are pocketed, regardless of whoever shot the low valued balls. To determine this win, the player must call the shot. This is done either by pointing out or stating the pocket on which he is to shoot the ball. If the player fails to do so, the next player in the lineup gets the chance to pocket the ball.